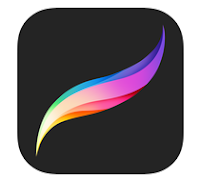 In this article, you can see a list of the best drawing apps for your iPhone & iPad. 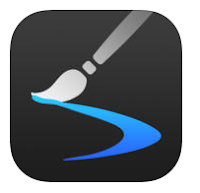 If you love drawing and painting, these apps would be very useful for your iOS device. There are tons of amazing drawing apps on the Appstore but all of those don't come with easy user interface so we've listed here some great drawing and painting apps for your iPhone and iPad. Check out these awesome drawing apps on your device. 1. ArtStudio Pro ( For iPhone & iPad ) - ArtStudio pro is one of the best drawing apps for iPhone & iPad and it helps you create amazing paintings like professionals. Very useful app that lets you draw, paint , sketch and edit photos easily on iPhone & iPad. Premium drawing app that comes with lots of amazing features such as flexible canvas sizes, 27 amazing tools for drawing & sketching , more than 100 brushes in different categories, selection & text tools, custom brushes, different types of shapes, image filters and many other features. Very useful drawing app for iPhone & iPad users that comes with screen recording feature which lets you record your drawing process easily. 2. 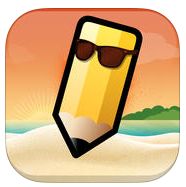 Sketch Club ( #iPhone & iPad ) - Featured rich drawing app for iPhone and iPad devices. The app comes with many features and easy user interface. The app helps you make amazing paintings on your device easily. Sketch Club includes lots of amazing features such as different types of drawing brushes to create amazing paintings, arts, vectors and more , layer tools and filters and lots of other useful options for drawing. If you love drawing, you would love this app on your device. One of the best drawing apps for iOS users and it contains tons of professional painting features which can also be used to create canvas size paintings. You can also print your paintings in high quality and use it to decorate your walls. 3. Paper by FiftyThree ( iPhone & iPad ) - If you are looking for free drawing app for your iPad, Paper By Fifty Three is a great option for your device. The app helps you express your ideas through drawing. The app comes with easy user interface which helps you draw easily on your device. 4. 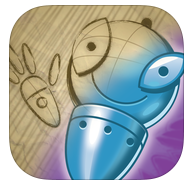 ArtStudio Lite ( iPhone ) - Free iPhone version of ArtStudio drawing app. ArtStudio includes tons of features and helps you make amazing paintings like professionals. The app comes with different types of canvas sizes, lots of amazing drawing tools, 150 high quality painting brushes , layers, filters and some image editing features. One of the best free drawing apps on the Appstore for iPhone users. 5. 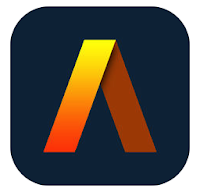 Inspire Pro ( iPad ) - Inspire Pro is a full featured drawing app for iPad that is mainly used by professional and creative users. The app comes with many useful drawing features and helps you make paintings like a professional painter. The app includes more than 70 high quality brushes, lots of brushes setting option, 3 types of canvas sizes, 1000 levels of redo and undo option, easy color picker tool and lots of other useful features. 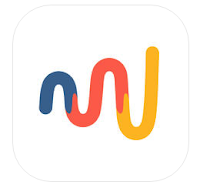 Recommended app for creative users. 6. Procreate ( iPad ) - One of the best painting apps for iPad users that comes with more than 120 easy to use brushes, advanced layer blending option, high quality canvas size, advanced layer system, multitouch gestures, hybrid selection tool, share option and many other features. Very useful drawing app for iPad device. 7. Tayasui Sketches ( iPhone & iPad ) - Featured rich drawing app for iPhone and iPad that can be installed on your device free of cost. The app helps you make beautiful paintings with realistic tools. 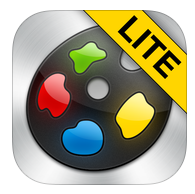 The app comes with lots of tools such as painting tool, brushes, pencil, water color brushes and oil pastel. 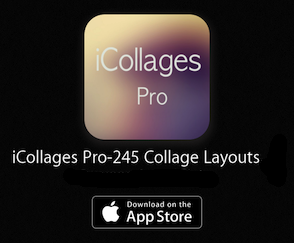 you can access more features by upgrading your app to pro version. 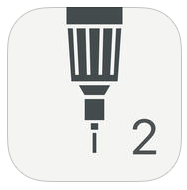 8. iDesign ( iPhone & iPad ) - iDesign is a 2D vector designing and drawing app for iPhone and iPad that lets you create beautiful vectors and paintings on your iOS device. The app has easy user interface and it comes with many useful drawing options. 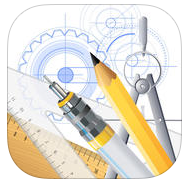 Very useful app to design vectors and draw paintings on your iDevice. 9. Draw Something Classic ( iPhone & iPad ) - Draw Something Free is a drawing game for iPhone and iPad users that lets you draw without any drawing skill. With the help of this app, you can easily draw icons and paintings. you can install this drawing game app free of cost on your device.